Getting your newborn or toddler to sleep through the night is a goal for all new parents, but there’s much more to sleep than an unbroken night’s rest. On a biological level, sleep is part of the bedrock for building your baby’s body and brain. Your baby looks calm and restful while fast asleep, but there is plenty going on behind the scenes. 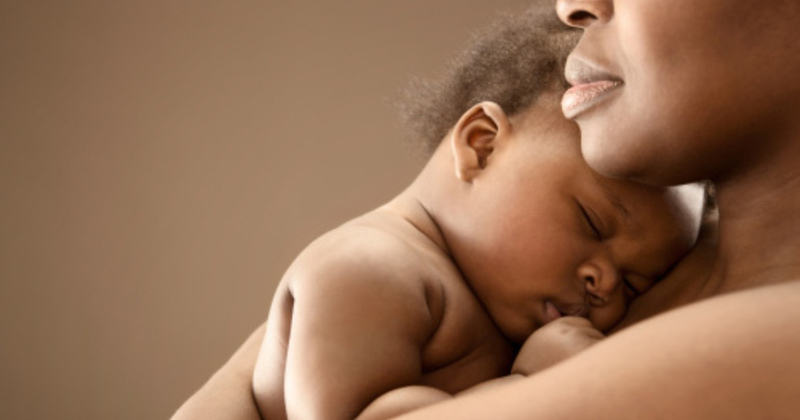 Research confirms that when it comes to your baby’s development, sleep is just as important as being awake and alert. From brain development, protecting memory and learning language to enjoying healthy physical growth, sleep is where it’s at. ▶ WHAT IS THE SLEEP CHEMISTRY OF BABIES? Interestingly, at the beginning of the third trimester of pregnancy, the foetus shows signs of rapid eye movement (REM) sleep, which is when dreams happen and memories are stored. Before birth, your baby is tuned into mom’s physiological cues for night and day, and has its own body clock or circadian rhythms which determine sleep and waking times. Newborns then spend more than half of their first year of life sleeping, and half of that time is spent in REM sleep – which is important for brain maturation, learning and development. Dr Barnard explains that when a newborn falls asleep, they enter light or active sleep. “This stage is similar to REM sleep in adults,” she says. “Just as adults are more likely to wake during REM sleep, so are newborns more likely to wake during active sleep. After about 25 minutes, newborns enter into a deeper sleep state, known as quiet or deep sleep. This stage is characterised by slower, more rhythmic breathing, little movement and no eye fluttering – and babies are less likely to wake up.” During this time, growth hormone is secreted in great quantities, and this is essential for body and brain growth. ▶ WHAT IS THE IMPACT OF SLEEP ON BRAIN GROWTH? At birth, your baby’s brain is only about 30% of its full size, and brain growth is rapid during the first three years of life. Deep sleep facilitates brain growth, which is why babies spend so much time sleeping. It is also during deep sleep that the brain processes and stores information received during waking hours, so deep sleep is important on many levels. ▶ HOW DOES SLEEP IMPACT PHYSICAL GROWTH AND HEALTH? “Sleep plays an important role in physical health, because it supports normal growth and development,” says Dr Barnard. “Deep sleep triggers the body to release growth hormone, which in turn promotes normal growth by boosting muscle mass repairing cells and tissues.” This is crucial for babies and adults. Sleep also maintains the balance between the hormones that make you feel hungry (ghrelin) and full (leptin). “When you don’t get enough sleep, your level of ghrelin goes up and leptin levels go down,” she says. This means a lack of sleep makes you feel hungrier. Sleep deficiency also affects how your body reacts to insulin. Studies have linked poor sleep with obesity in teenagers for these reasons. ▶ WHAT ARE POSSIBLE CONSEQUENCES OF SLEEP DEPRIVATION IN INFANTS? Severe sleep disorders can reduce the secretion of growth hormone and compromise physical development. However, impaired attention, learning and reaction time, irritability and hyper activity are also possible consequences of sleep deprivation, as is high blood sugar levels, as the body’s metabolism resets itself during sleep. Sleep deprivation in infants undermines the brain’s plasticity, which enables the brain to rewire itself and adapt to change. ▶ WHEN SHOULD PARENTS SEEK MEDICAL HELP? “There are many possible medical reasons for poor sleep,” says Dr Barnard. “Reflux, middle ear infections, allergies, obstructive sleep apnoea – to name a few. These may not be obvious to parents, but if managed, can make the world of difference to your child’s sleep patterns – and their development.” Speak to your paediatrician if anything is worrying you. ▶ HOW MUCH SLEEP IS ENOUGH? Babies of four to 12 months need 12 to 16 hours of sleep a day. Children between one and two years old need 11 to 14 hours a day. Kids between three and five years should have 10 to 13 hours a day for good body and brain health. Keeping a regular routine will help regulate your child’s body clock and develop healthy sleep patterns.